يقع InterContinental Melbourne The Rialto في قلب حي الأعمال المركزي بملبورن في شارع Collins ويضم بار وسبا نهاري ومركز للياقة البدنية ومسبح داخلي مدفأ. تم بناء Intercontinental Melbourne في 1891 وهو أحد الأمثلة الأخيرة المتبقية من العمارة القوطية الفيكتورية التي تعود للقرن الـ19 بمدينة ملبورن، ويوفر غرف مزودة بتلفزيون ذو شاشة مسطحة قياس 32 بوصة مع قنوات الكابل المجانية وقاعدة للآيبود. يقع مكان الإقامة على بعد 5 دقائق سيرًا على الأقدام من متاجر ومطاعم ساوثبانك ويبعد مسافة 15 دقيقة سيرًا على الأقدام من كل من منطقتي دوكلاندز ويارا ريفير، ويبعد مطار ملبورن الدولي مسافة 25 دقيقة بالسيارة. يقدم سبا Botanica النهاري ملاذًا هادئاً للراغبين في الاسترخاء وإعادة التوازن واستعادة الشعور بالعافية. تضم الغرف الأنيقة حمام فاخر مزود بدش مطري ورداء حمام ونعال، وتحتوي جميع الغرف على ميني بار ومرافق صنع الشاي / القهوة. يقع مطعم Merchant الشهير للشيف غي غروسي المشهور وVue de Monde للشيف شانون بينيت داخل مجمع Rialto، كما يقدم بار Bluestone وMarket Lane تشكيلة واسعة من المشروبات ويوفران أجواء رائعة لاجتماعات الأعمال واللقاءات الاجتماعية. يرجى ملاحظة أن هناك رسوم بقيمة 1.5% عند قيامكم بالدفع ببطاقة ائتمان. From the start the staff was amazing. We get to Melbourne in an early flight so get to hotel around 9am. The girl at the reception was very nice and was able to give us a room in about a hour! The hotel is near the tram stops, so perfect to get around. The door staff is always polite. The room is big, comfortable bed, coffee machine in the room, big shower. The only thing I would prefer is if the room had window to the street insteadof the hall. We had Christmas dinner on alluvial which was also very good. Definitely a hotel to visit. If you're coming from the airport, just hop on the skybus to the city. When you alight at the southern cross station it's a 5-7min walk to the hotel. Right in the heart of the CBD. There's a supermarket across the road from the hotel and good eateries located close by. Location is great. I arrived at noon and managed to get an early check-in which I'm thankful for. The room was very comfortable, great pillows and bed. Water pressure in the shower was great. The only issue we had was the air conditioning in the room. We set it at 16 degrees but it still felt like 26 degrees. As we were only staying for one night and it was already quite late in the evening, we did not call engineering to come fix the issue. When I gave feedback to the check out staff, she was really nice to not charge us for the two cokes we had from the mini bar to make up for the air conditioning issue. Overall, a good experience. I would stay at the Intercontinental again. As an Ambassador they gave me x2 room upgrades to a massive suite fit for a king & extended 4pm checkout. Free water, chocolates provided daily, Nespresso and Capsules were a big bonus for the busy traveller. Room service was prompt and amazingly tasty food. One night i arrived to the hotel in a bad mood as we had a screaming kid in the back seat and upon handing my keys to the gentleman at valet, he could clearly see that i was in a pretty bad mood. So he phoned me once i got to my room and he advised me that a bottle of red wine will be delivered to my room free of charge to brighten my mood. I couldn't believe it ! Very good, attentive and caring service. The staff at this place are all 100% couldn't recommend this place anymore. This hotel has excellent staff who are very happy, helpful and respectful. The location is ideal as everything in the city is walking distance or you can take the free tram. The rooms are quiet and very clean. The whole design of the place is beautiful. The breakfast was excellent. The only thing I was disappointed about was the quality of the pool and gym. Both were in need of an upgrade. I went there for a few days of R&R and unfortunately the pool was closed on day 3 for 'unexpected maintenance' and a piece of the gym equipment collapsed on one side when I was using it, due to a bolt working its way out. I would certainly recommend this hotel, but don't expect the pool and gym to be of the same standard as the rest of the place. 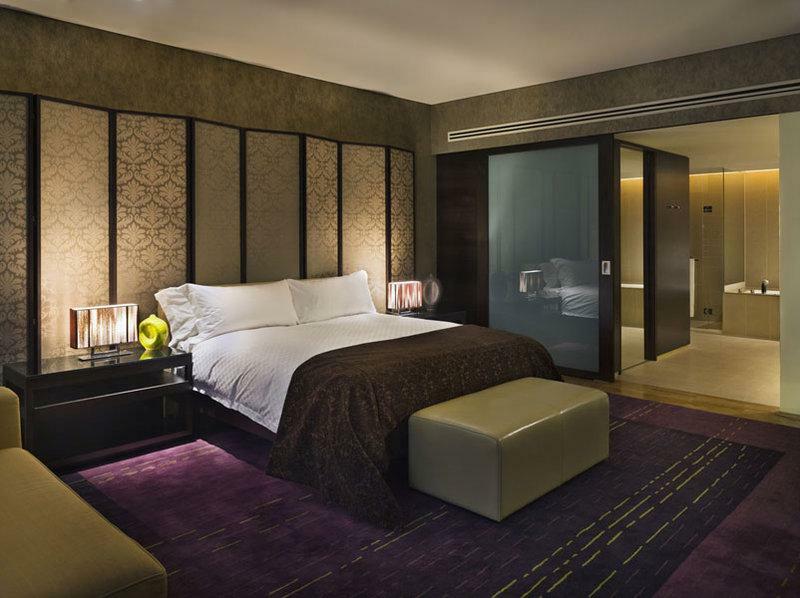 All around the world The Intercontinental hotel has always live up to their customer's Expectation. In this branch the staff were really friendly and helpful. We got lots of help from the 2 guys at the concierge. (Thank you Paul and John for giving us tips on places to visit). The hotel was walking distance from shopping and restaurant area. The breakfast was great. Should try their Bircher Musili. Keep it up.. The Rialto is still my stand-out favourite Melbourne City hotel. The locations, staff and room quality are a step above the rest in my view. Last weekend was my 7th visit and I plan to go back next time I need a place in the Coty. It was my first time staying at this hotel. Maybe my expectations was high as I had expected a big & grand lobby & reception. But never mind, the room I got was big, well designed & the bed was very comfortable. This compensated for everything else. The staff were very friendly, professional & efficient. The location was great being next to Rialto, restaurants, walking distance to the shopping areas at Bourke St Mall, Crown Casino & places of interests around Melbourne CBD. 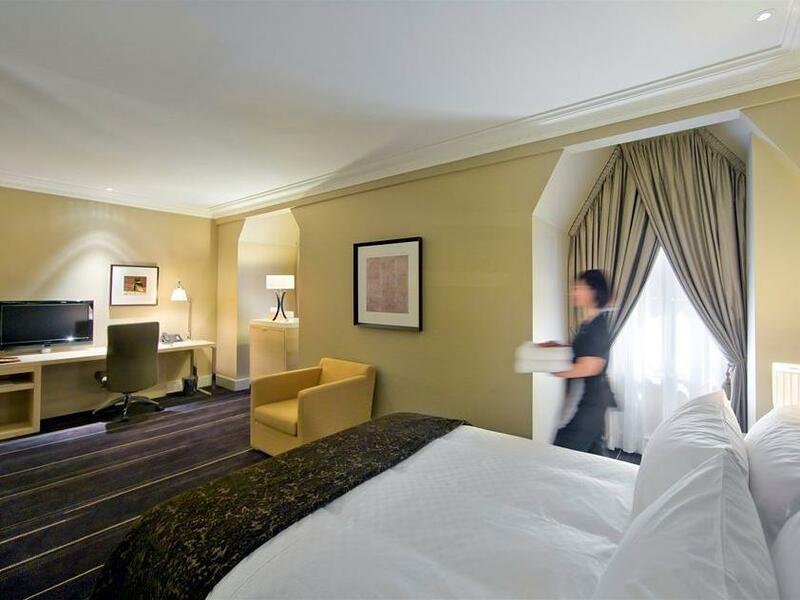 The Inter has to be the best value 5 Star in Melb. The food is excellent, the staff service and attitude tremendous, the concierge among the best I've encountered on the planet. It's tops. 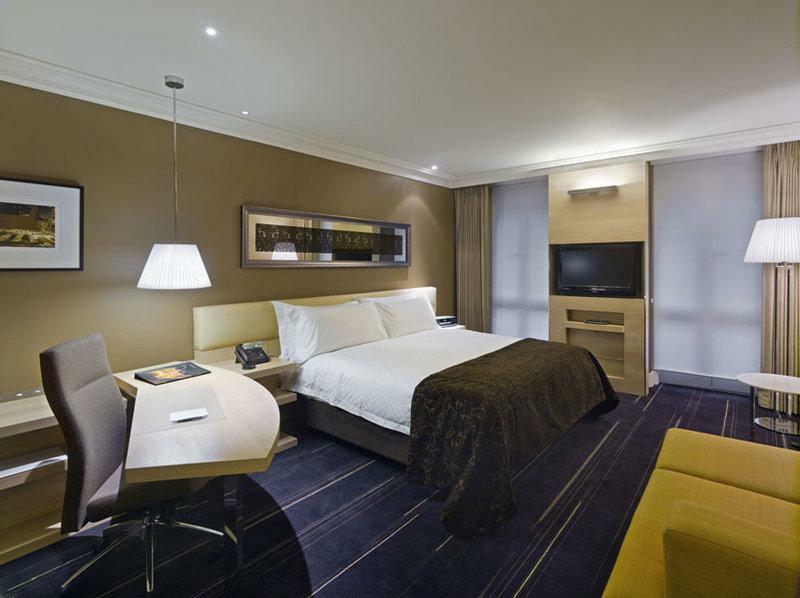 Big fan of this hotel, great getaway for our anniversary in a central CBD location. Would love to stay again. Rooms are comfortable. We have a good trip. Great location and the staff were great. Thank you, intercontinental hotel in Melbourne. However, one thing I would like to tell you, actually the staff at the reception desk, a lady, little bit chubby and blonde hair, her attitude for guest is not professional as I have never seen before, compared to any other luxurious hotels. When I tried to check in at hotel, but arrived earlier than I expected around between 9.43 am to 9.59 last Saturday 9th Dec, She told me that I should have came to hotel after 3 hours later with very annoying face and chewing gum as well. I was very shocked and her attitude and service made me feel upset. Even I booked as executive king room for myself. You should be careful about how customers are treated, we are not dump and also deserve to receive high quality facility and comfortable service with a beautiful smile. Other staff are excellent and beautiful, except for this fat blonde lady. She is not qualified at all and does not fit this luxurious hotel brand value as well. Thank you. We arrived from the airport by Skybus at Southern Cross station and from there it is within walking distance. 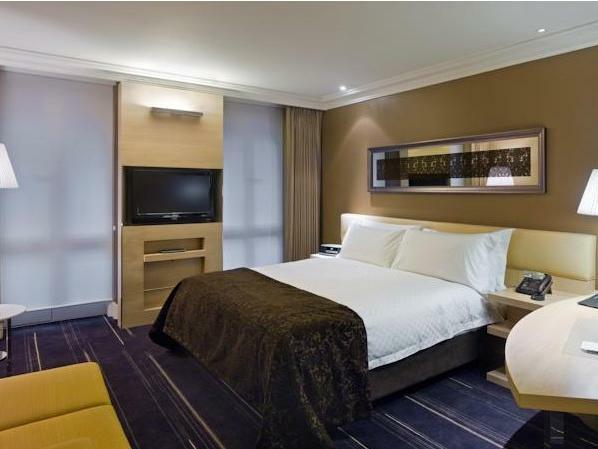 The location of the hotel is very good, more in the CBD than the shopping district, but pretty much within walking distance to everywhere downtown Melbourne. Hotel rooms are basic, unfortunately no modern technology or USB ports, in that regard it needs an upgrade. All the staff members, especially Front Desk and Concierge, are extremely polite, professional and helpful, definitely a big plus for the hotel. Breakfast buffet features all the essentials, however compared to hotels in Asia the selection is a bit small. Overall we enjoyed our stay and were very satisfied with the hotel, we would stay there again when we return to Melbourne.